This is one a lot of you have been waiting for! Added support for high-resolution (640×480) rendering. You can find the option for the in the “4DO Options” screen, under the “Advanced” tab. This is only of value for 3D games. Additionally, since each frame takes 4 times as long to process, it will cost a lot of CPU! I recommend increasing your audio buffer as well if you enable this. I’d finally gotten enough control over the timing nuances and audio behavior to look into and enable these advanced features from the later revisions of FreeDO. I must stress that, like in FreeDO, this option hogs the CPU quite a bit. This is due to the fact that all graphics processing is essentially software rendering. Not many games handle this well. For the record, I found that Road Rash and Star Fighter both performed well. So, that wraps up a big block of feature-related changes I intended to knock out. For a while, I intend to take a break from adding new features for a bit and concentrate again on bug fixes. 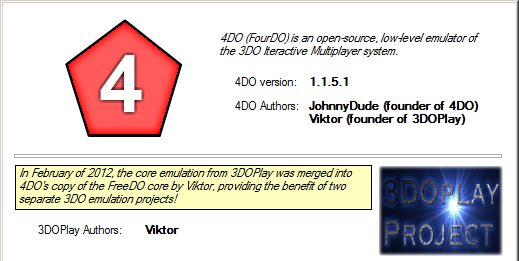 Also, anybody interested in helping me develop or test 4DO, please introduce yourself in the forums! This release fixes a bug I noticed in the previous release. Fixed bug in audio buffer size calculation. This was causing some audio buffer size selections to behave incorrectly. I’ve added some long-awaited features. Enjoy! 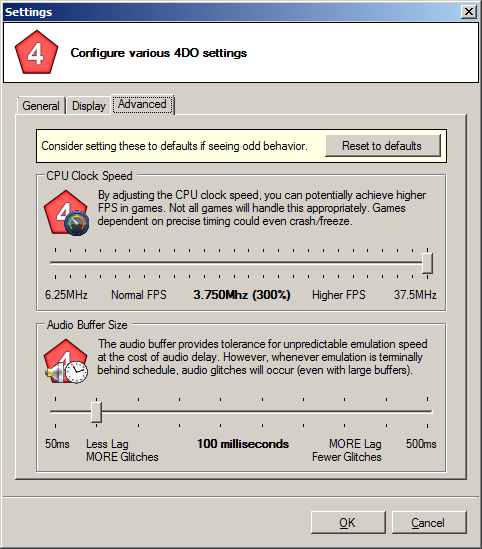 Added the ability to adjust the emulated CPU clock speed. 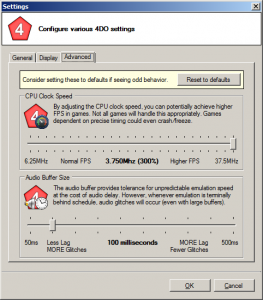 This can result in framerates increased beyond the original hardware limits. This is analogous to the setting in the latest (last?) version of FreeDO. Be aware that many games will not handle this well since they were not coded to support it. 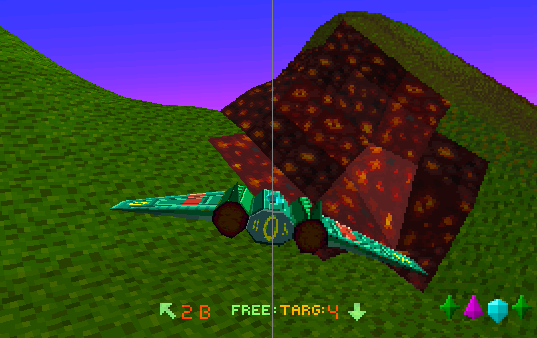 I’ve found that Star Fighter is an example of a game that handles a clock speed increase well. Added the ability to adjust the audio buffer size. I have found that audio buffer size is a bit of a personal preference. The default is 100ms, but people who want more protection from audio glitches can now adjust the audio buffer size higher (at the cost of latency). Added a few command-line options for debugging purposes. At the moment, these are mainly for my own purposes, but see the command line usage for specifics. Enables printing of KPrint (3DO Debug output) to the console. 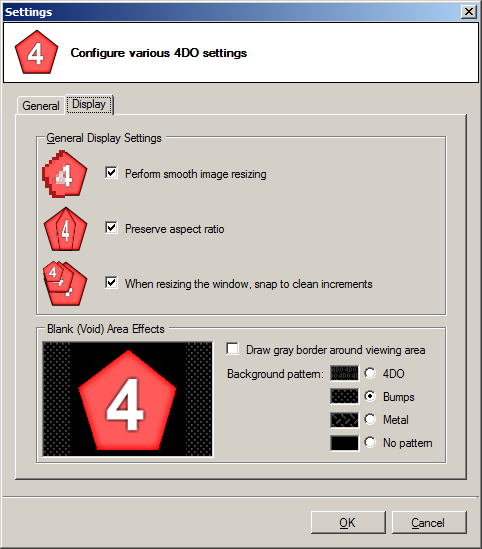 4DO now supports ISO or BIN files in Mode1+2352 format. 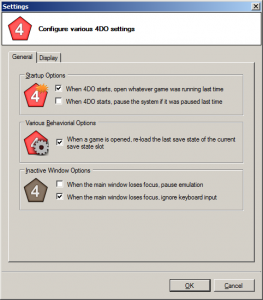 – Previously 4DO only supported Mode1+2048. Users can open a BIN, CUE, or ISO file. Cue files are recommended to “strongly” identify the file type. If a file you open has a matching CUE file, 4DO will trust it. If no CUE file is paired with a BIN or ISO, 4DO will guess the encoding (using file type and file length). The results of this “guess” will be output to the logs. Fixed a bug in which the log files were only being written on crashes. As reported last time, I have been working on the audio stuttering issue. It appears that it was dependent on audio hardware and most likely its driver behavior. So, I have rewritten the audio output yet again. I’m also including a fix for a freeze in at least Gex and Super Street Fighter II! 4DO now uses DirectSound for audio playback. This gave me gave me more control over the audio playback and it should remove the stuttering issues that some machines were experiencing. Also, SlimDX.dll is now being included in the 4DO release ZIP files, so this should help the situations in which the SlimDX runtimes weren’t installing on machines properly (64 bit machines, so I hear). I’ve stamped out some problems in this update. 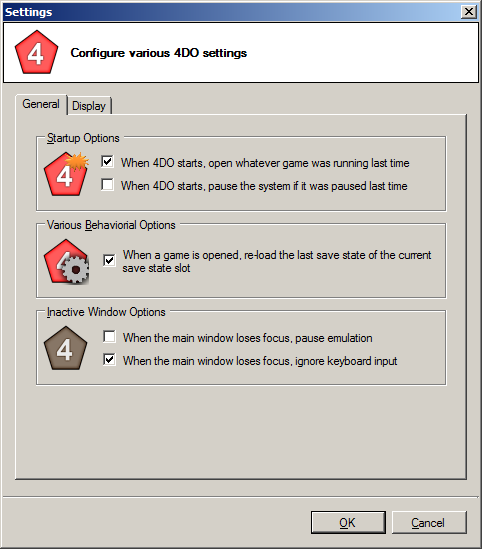 4DO can now fall back to its original “windows-based” (GDI) rendering if it fails to initialize DirectX rendering. This shows up in the log (TempDebugLog.txt) as “Video Render – DirectX canvas initialization failed! Will attempt to fall back to windows(GDI) rendering.”. This will allow more machines to run 4DO, but this GDI rendering is more CPU intensive (which will result is “skipped frames”, and and does not have V-Sync. In the (default) DirectX rendering, the game screen is no longer drawn at maximum speed. Previously, this was causing unnecessary load on a machine’s GPU. 4DO will only render the screen as often as needed. I am currently attempting to solve the audio stuttering issues that some users have been reporting.